Hi! 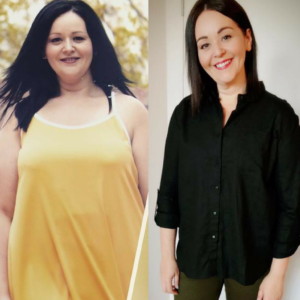 I’m Monique Bradley: Lifestyle TV presenter, avid foodie, lover of shopping, bargain hunter, happiness junkie, singer, educator AND I’ve chosen to change my life, going through an epic weight loss and wellbeing adventure spanning more than 25 years. There have been so many facets to my journey from dealing with eating disorders to learning WHY certain foods can inflame my body OR fuel my body. This is what I want to share with you! NO MORE yo yo dieting. Just real food, great health and awesome results. As I’m on a constant journey to find out how to make life easier, happier and healthier, I’ve decided that it’s time to share what I’ve learnt with you. Are you ready to change your life and find your way to fabulous? If so, let’s smash it together! From the best of low carb living, to entrepreneurial tips (yes, stress can add to weight gain!!) and fashion and beauty advice from industry experts, to living a more fulfilled life by aligning personality with purpose, my weekly web tv shows are free to air and designed to help you. If you want additional support, sign up to my mailing list for recipes and motivation. AND if you really want to kick start your journey, join my private Facebook group for weekly cooking classes and so much more! I’m ready to be your transformational cheerleader, so if you’re ready to rock, let’s do this!